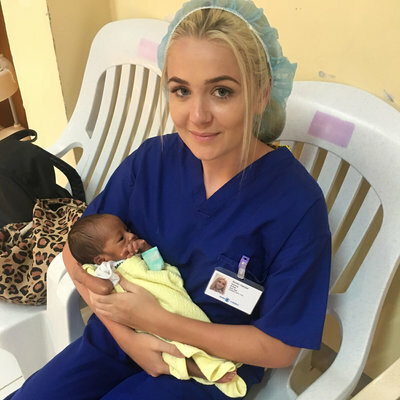 I knew this was going to be a life changing experience going to Ghana, however, the skills I’ve gained, friendships made and things I’ve accomplished were far beyond even my wildest expectations. 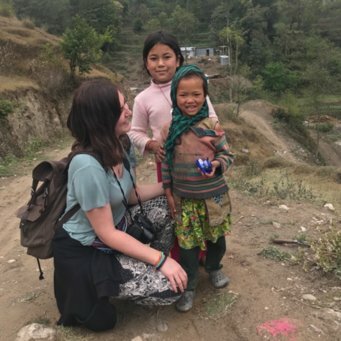 Despite going with my two best friends, I was really daunted by the thought of placement in an under-resourced country on the other side of the world, but the Work The World team made everything just so easy. The online “My Trip” site broke everything down that I needed to know. The telephone calls made from the Head Office closer to departure not only calmed my nerves but fuelled my excitement. When our flight arrived at Accra we were greeted by a very enthusiastic program manager, who made us feel welcome and at ease as we began to realize just what a big job it was that we had undertaken. Takoradi was a fantastic city to be placed in. We managed to figure our way around quite quickly after our city orientation and were all settled within a couple of days. During our first day, we were also orientated around the entire hospital and introduced to the wards where we would be spending our time. Like most people in Ghana, the doctors, nurses and patients were so friendly, which made them more approachable when it came to asking questions. Ghanaian healthcare is so different to what I’m used to that it is incomparable and something that has to be experienced. Perhaps the best piece of advice given to us from one of our housemates was to involve yourself, as the more interested you are, the more interesting your placement will be. Put simply, the more you’re willing to involve yourself in clinical work the more the doctors and nurses will be willing to involve you – the ultimate teamwork situation! We were also see different wards and participate in some of the clinics. In the HIV clinic it was a great experience to see how this disease is being tackled in a limited resource setting. Away from the hospital, life inside the Work the World house is never dull. It’s nice to be able to talk with everyone about what we’ve seen or comparing things from home. Thanks to Work the World, I now have friends all over the globe! The staff are also great - Joe is always around to help us out, Ophelia is our mum away from home, Alhassan is always there for a laugh and to fix anything we may have broken and the fist pumping security guard just made coming home that much better. The Tuesday Fante lessons were really helpful but also a lot of fun and the Thursday BBQ’s were among my highlights. The weekends we had free for ourselves, with most of the house opting to travel together to see what Ghana has to offer. On our first weekend, we went on some crazy adventures including the canopy walk at Kakum National park ,with the more adventurous of us opting to stay in a tree house. We were staying in the middle of the jungle, in a foreign country with people who we had known for less than a week and it didn’t feel strange at all! We also spent a weekend exploring the stilt village of Nzulezu and relaxing on the beach in Beyin. My major advice for anyone thinking of applying would be to expect the unexpected. Just go with anything that comes your way and see where it takes you. You are being placed in an environment very different from your own - different culture, different language, different healthcare setting, different attitudes, values and beliefs. Learning a little bit of Fante before you arrive will help you with initial introductions, even if it is only a couple of words. Having the ability to adapt and an open mind will help you get the most of your experience. I also recommend keeping something to document what you’re seeing each day as it can blur together, but it can also help you recall some of the challenges encountered. Enjoy every moment, as it will fly by! 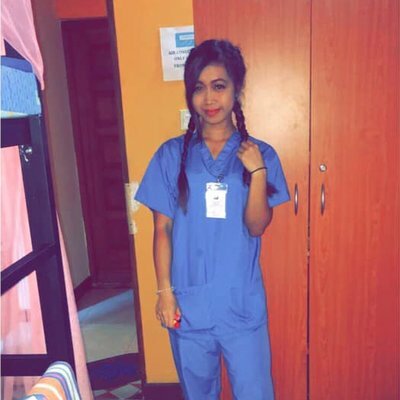 This experience has made me reflect on what kind of nurse I want to become and what nursing really means. Seeing things on TV, books or the internet is incomparable to seeing it with your own eyes and I can’t recommend doing something like this more. It will change your life.